Unlock Samsung Galaxy S III i9300 - Safe IMEI Unlocking Codes for You! Unlock Samsung Galaxy S III i9300 Handset! In case your Galaxy S III i9300 doesn't ask for the code and there is no designated field to enter it, please DON'T PLACE ANY ORDER, contact us first for support. Are you looking to unlock your Samsung Galaxy S III i9300 smart phone? If yes, SafeUnlockCode can do that for you with our Fast and Safe Unlocking Service! Check out here The List of Devices We Can Unlock! How to Unlock Samsung Galaxy S III i9300 Phone - Tutorial! Please find bellow a step-by-step guide to follow in order to unlock your Samsung Galaxy S III i9300 mobile phone. Please help me unlock my handset from Vodafone Malta. please help me unlock Samsung Galaxy S III i9300 from Spring mobile Sweden. can you provide code for Samsung Galaxy S III from Spain Orange ? I would like to know if you can unlock my samsung handset from T-mobile, Hungary? Can you help me unlock my Samsung Galaxy S III from Spain Orange? Can you provide cod efor Samsung Galaxy S III i9300 Orange? Do you offer discounts for Samsung Galaxy S III i9300 smartphone? Hi Nika! Yes, we have discounts available if you buy a code from us. Please email us for more details. Thank you! 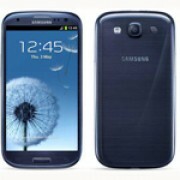 I have Samsung Galaxy S III i9300 from Jamaica - Oceanic can you unlock it? Hi Gretta! Yes, we should be able to get a code for you. Please use the form for more details. Thank you!